Dr. Stephen Cohen was the first board-certified colon and rectal surgeon for the Southern Crescent area in Atlanta, Georgia. Many of his patients traveled long distances to receive his high-quality care due to his unique ability to put patients and family at ease during difficult and often stressful times. 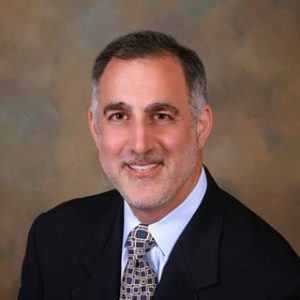 Dr. Cohen has advanced his leadership skills by earning an MBA degree. Because of his current lifestyle change, Dr. Cohen is passionate about educating and teaching in addition to promoting nutrition as a mainstay for a healthy way of living. In fact, Dr. Cohen is a two-time Ironman Triathlon finisher and is still very active. Listen in as Kelly Campbell and Dr. Stephen Cohen chat about these points. Where do we as LNCs find the current guidelines? As a legal nurse consultant, you play a crucial role in helping attorneys identify medical malpractice cases that are meritorious. There is a lot at stake in a medical malpractice case also the costs, the potential recovery for the plaintiff and the reputations of the defendants. Using your medical knowledge and analytical skills, you are in a prime position to help attorneys understand the merits of a medical malpractice claim. You can be the light that guides the attorney to the meritorious claims. This program is ideal for legal nurse consultants. 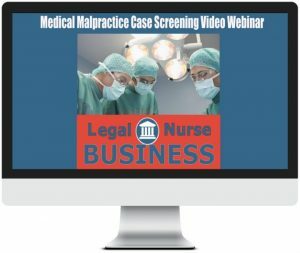 Join us for 90 minutes as two experienced legal nurse consultants and expert witnesses give you insider tips on the legal nurse consultant’s role in the complex world of medical malpractice. Barbara and I have combined 44 plus years reviewing cases as expert witnesses; We share our deep knowledge with you. You’ll hear about our most memorable cases and what lessons you may learn from them. Get instant access to this online training by using this link: http://LNC.tips/screening. Dr. Cohen is an innovator, pioneer and pacesetter of emerging, developing, and innovative colorectal techniques. He is active in teaching, educating and collaborating with physicians both domestically and internationally in which his passion is advocating for advances in colorectal diagnosis and treatment, promoting quality access and maintaining affordability in the current healthcare debate.